Registered nurse schools in Michigan provide aspirants with ample learning opportunities which enable them to excel their knowledge and skills in the area of nursing. Nursing is a noble profession that demands patience, profound awareness, critical thinking, problem solving skills and caring nature. This career is much in demand and offers handsome salaries. Apart from this, it gives a feeling of satisfaction as RN makes an invaluable impact on the lives of patients. In this article, you can explore various programs that prepare you for a career in healthcare. It is very essential to meet the following requirements, in order to get admission in an RN school. The age of the applicant should be 18 years or above. A valid address proof and photo identification must be submitted at the time of application. The prospective applicant should be fluent in English language. Every aspirant should clear the drug test and criminal background check. It is imperative for the students to clear the standardized entrance test (TEAS-Test of Academic Skills) with minimum passing scores. He/she should be graduated from an approved high school or GED. It is obligatory to submit fingerprint clearance report. It is compulsory to score minimum 75% marks in English language and 80% marks in Math. Prerequisites for registered nurse program programs may vary from college to college, but those nursing programs, which are accredited by the Accreditation Commission for Education in Nursing or the American Association of Colleges of Nursing, have standardized requirements. The state of Michigan offers a wide range of programs that provide learning prospects and prepare students for an RN role through adequate clinical practices and classroom lectures. Associate Degree (ADN): It is a two-year degree program, which costs you around $14,425 annually. This program will equip students with fundamentals of nursing, human anatomy and physiology, psychology, and gives an in-depth outlook of the human body. Bachelor Degree (BSN): This program equips students with adequate knowledge, skills and professional values needed for a successful RN. It takes 4 years to complete and involves a cost of $30,000 per annum. It provides profound knowledge in Physiology, Pharmacology, Intervention, Evaluation, Nursing Assessment, Delivery Systems, Research Utilization, Diagnosis, and Resource Management. Direct Entry MSN or Accelerated MSN: This is the best option for those students, who hold a non-nursing bachelor degree, and are turning to nursing education in order to expand their career in the field of healthcare. Accelerated BSN program: An accelerated second degree program is a faster version of traditional BSN program. It is designed for non-nursing bachelor degree holders. 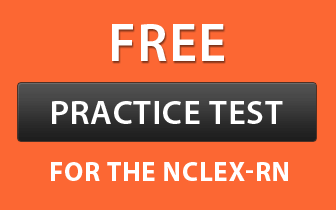 The candidate becomes eligible for taking the National Council Licensing Examination (NCLEX-RN) after completing any of the above programs. RN to BSN: The RN to BSN coursework is uniquely designed for registered nurses with a diploma in nursing or an associate’s degree. With the help of this program, you can obtain advance education. LPN to RN: A licensed practical nurse, who wants to become an RN, can go for this program. This will broaden your career and increase your earning potential. Master of Science in Nursing (MSN): The MSN program is designed for those nurses, who wish to advance their career to the next level. It will include in-depth study of various nursing aspects. It is approved by the Board of Registered Nursing. Doctorate of Nursing Practices (DNP): The main objective of this program is to prepare advanced and professional nurses, who are able to translate their knowledge in the clinical setting. In this changing healthcare sector, it is essential to earn a degree from approved and certified program schools. Here is a separate list for every program.